Is a good, solid argument enough to make an impact? How would your data improve the stance that man-made global warming is just an “opinion”? How would you explain your opinion on school tests, budget cuts, crime, immigration, safety and security issues? No doubt that your persuasiveness relies on your arguments. But your ability to influence and convince critically depends on the way you frame your message. This course has been taught as a MOOC last period. 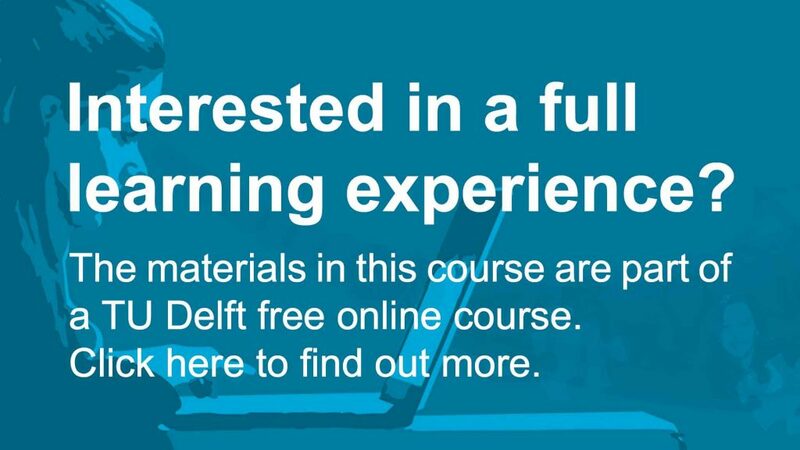 Framing by TU Delft OpenCourseWare is licensed under a Creative Commons Attribution-NonCommercial-ShareAlike 4.0 International License. Based on a work at https://ocw.tudelft.nl/courses/framing/.